GYROTONIC® and GYROKINESIS® Pre-trainings are being offered to all students that have a desire to deepen there own practice and students that are moving on to take the GYROTONIC® and GYROKINESIS® level 1 foundation courses. The Gyrokinesis Level 1 Pre-Training Course, which is designed to give you an understanding of the Gyrokinesis Level I exercises, & prepare you physically for the Gyrokinesis Level 1 Foundation Course that follows. The Gyrotonic Level 1 Pre-Training Course, which is designed to give you an understanding of the Level 1 exercises, & prepare you physically for the Gyrotonic Level 1 Foundation Course that follows. The Gyrotonic and Gyrokinesis methods are complementary. Some people choose to pursue training in one of the methods, while some study both. Before enrolling in either of the training programs, students are required to have a basic understanding of the level I exercises of the method they choose to study. People typically take at least ten Gyrotonic classes with a certified Gyrotonic Trainer before they have enough experience to begin the Gyrotonic Level I Teacher Training Program. People typically take at least ten Gyrokinesis classes with a certified Gyrokinesis Trainer before they have enough experience to begin the Gyrokinesis Level I Teacher Training Program. Where to begin if your looking for studio in New Jersey may I suggest Raritan Valley GYROTONIC® located in the heart of Westfield NJ, 111 Quimby street Suite #9. We welcome everyone, all ages, and Fitness levels. Whether working one-on-one, or in a group session, the focus is on providing a personalized high quality training with a certified Gyrotonic and Gyrokinesis Trainer. We look forward to accommodating your unique needs and specific goals. 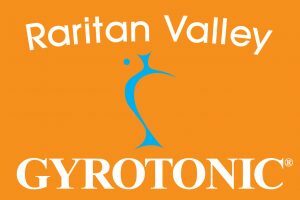 Raritan Valley GYROTONIC® is the only Gyrotonic studio in New Jersey that that as the privilege of being approved to use the Gyrotonic logo in our trade name. Shirley Wallitsch owner/ and primary teacher and has completed course work with Master Trainers Sebastian Plettenberg, Erika Hassan,Juergen Bamberger, Dima Fedorov, Emily Smith, Jackson Kellogg and has attended the rejuvenation course in Germany with Juliu Horvath. Certified in JBS, Archway , Leg Extension unit and Gyrotoner. studio offers Group and Private GYROTONIC® and GYROKINESIS® sessions.